The United Health Foundation awarded Pathways, Inc., a three-year, $930,000 grant to implement telehealth technology capabilities that will provide improved access to mental health services for more than 3,000 children in eastern Kentucky. At today’s grant announcement were Dr. Kim McClanahan, CEO, Pathways; Anne Yau, vice president of external affairs, United Health Foundation; Adam Meier, secretary, Kentucky Cabinet for Health and Family Services: State Sen. Robin L. Webb: Dr. Doug Newton, national senior medical director, Optum Behavioral Health: and State Rep. Danny Bentley (Photo: Ashley Gallaher Quinn). 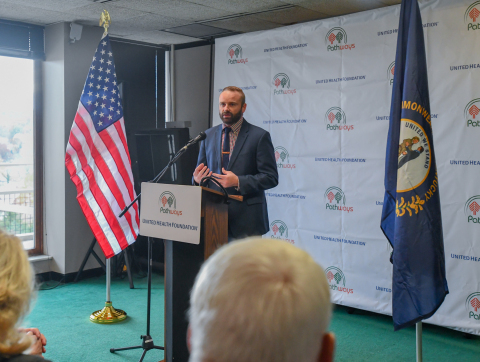 Adam Meier, secretary, Kentucky Cabinet for Health and Family Services, joined the United Health Foundation today to announce a three-year, $930,000 grant to Pathways, Inc. 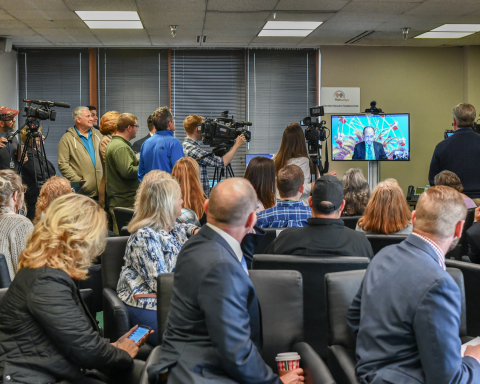 The grant from United Health Foundation will implement telehealth technology capabilities that will provide improved access to mental health services for more than 3,000 children in eastern Kentucky (Photo: Ashley Gallaher Quinn). A telehealth demonstration was given after the United Health Foundation awarded Pathways, Inc., a three-year, $930,000 grant to implement telehealth technology capabilities that will provide improved access to mental health services for more than 3,000 children in eastern Kentucky. The new telehealth resources will be installed at all outpatient and specialty residential units in Pathways’ 10-county service area (Photo: Ashley Gallaher Quinn). ASHLAND, Ky.--(BUSINESS WIRE)--Pathways, Inc., and the United Health Foundation announced a three-year, $930,000 grant to expand mental health services for children in eastern Kentucky using telehealth technology. The project will enable Pathways to provide better access to specialty mental health care for the more than 3,000 children it serves across a 10-county service area. Pathways will install and operate the telehealth technology at its 16 outpatient offices and specialty residential units in the region to connect children to child and adolescent psychiatrists, eliminating the need for families to drive as long as two hours to access a child’s mental health specialist. According to America’s Health Rankings, Kentucky has seen a 25 percent increase in teen suicides since 2016. The grant will enable Pathways to increase the number of children served by child and adolescent psychiatrists by 30 percent by 2021. Since 1967, Pathways has provided community-based mental health care, substance use disorder treatments, and services for individuals with intellectual or developmental disabilities. Pathways operates more than 20 facilities across 10 counties in northeastern Kentucky and serves more than 15,000 individuals each year. It is the only agency in the 10-county region that employs child and adolescent psychiatrists. Pathways, Inc., serves Bath, Boyd, Carter, Elliott, Greenup, Lawrence, Menifee, Montgomery, Morgan, and Rowan counties. Through collaboration with community partners, grants and outreach efforts, the United Health Foundation works to improve our health system, build a diverse and dynamic health workforce and enhance the well-being of local communities. The United Health Foundation was established by UnitedHealth Group (NYSE: UNH) in 1999 as a not-for-profit, private foundation dedicated to improving health and health care. To date, the United Health Foundation has committed $430 million to programs and communities around the world. We invite you to learn more at www.unitedhealthgroup.com/SocialResponsibility. 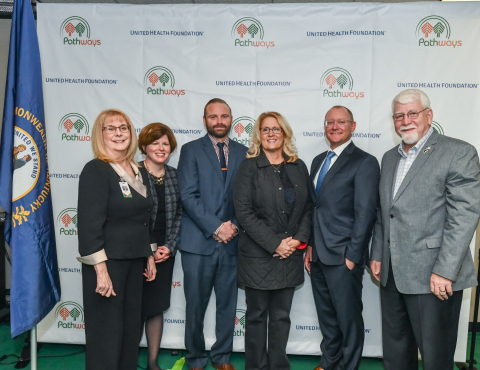 Pathways, Inc., and United Health Foundation announced a three-year, $930,000 grant to expand mental health services for children in eastern Kentucky.